At Deep Sea World we understand how important it is to educate people about the ocean and all of the creatures on our planet. That’s why we offer a selection of educational trips tailored especially to schools, from nursery age right up to secondary school students. “To deliver a unique learning experience by promoting informed and inquisitive observation within a stimulating environment.”Come and dive to exciting new depths in our educational programmes. We want to inspire the next generation by inviting growing young minds to learn about topics such as biology, conservation, the environment, and marine life. Education prices start from just £6.95 per child. View our full pricing list below. *Classroom sessions have a maximum of 30 children per group. **Creature encounters have a maximum of 20 children per group. You might also be eligible to receive up to £550 off the cost of your trip with Edina Trust. The Edina Trust provides non-competitive, easy-to-access grants for state primary schools in certain regions of the UK. These grants have been specifically designed to promote the teaching of science and gardening. 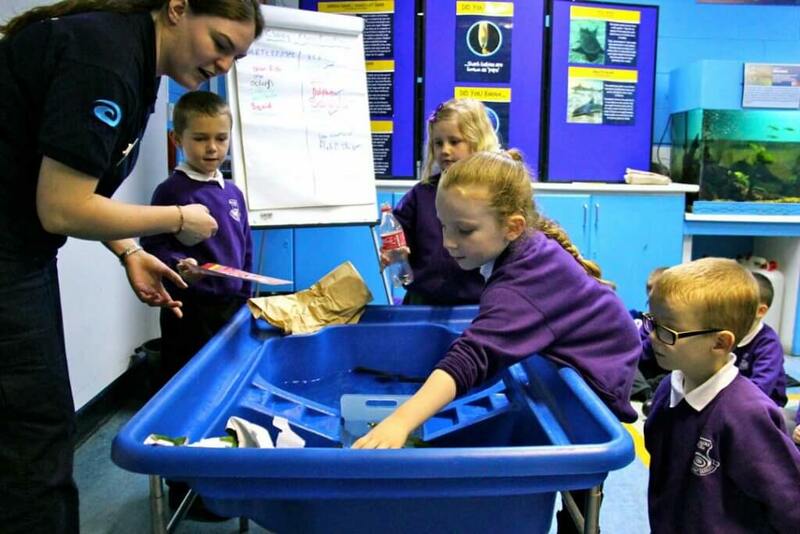 This organisation is currently operating Science Grant Schemes in Dundee City, Hartlepool, Inverclyde, Lancashire (LEA), Lincolnshire, Merthyr Tydfil, Middlesbrough, Renfrewshire, Rhondda Cynon Taff, Sunderland, and West Dunbartonshire, but we encourage you to check their website for the latest information. We love hearing about how our education trips have inspired and excited children from across the UK. Read through what some of our guests have said in the past. “I just wanted to say thank you for helping us in many ways with our trip to Deep Sea World. From ensuring we had a lunch space, to being flexible with our payment, the aquarium’s team made the organisational parts of the day very easy. For many of the pupils, touching a starfish was the highlight of their whole day! It was a great day, despite the rain! If you would like to share your thoughts with us after a visit, please do get in touch by emailing us on [email protected].